Along Sid and Kat, the flick also stars Sarika, Ram Kapoor, Taaha Shah Badusha, Sayani Gupta, Rohan Joshi, and Rajit Kapur (cameo). It is a love story but with time travel twist, so it can be called a new concept. The storyline can help the film to create some records regarding collections. Being the first-of-its-kind and star actors’ presence, the movie is able to bind the audience to their seats. Farhan and Karan produced it under the banners. BBD is released on around 2700 screen worldwide. The trailer fo the movie was very appreciated and got a tremendously positive response. The fans were eagerly waiting to watch their favorite stars and of similar age on the big screen. Now, there will be an intense fight on the box office as one more film has been released this Friday and it is Freaky Ali. FA, the directorial of Sohail Khan, stars Nawazuddin Siddiqui and Amy Jackson in the leading roles. It is comedy movie while BBD is a love story. Both the films have got approximately the same number of screens in India. Thus, on the first sight, there seems to be stiff competition. Let’s see who turned out to be the winner. Most probably, it will be Sid-Kat starrer. The latest flick of Karan and Farhan has got about 700 screens in nations such as UAE, Saudi Arabia, Pakistan, US, UK, etc. It registered a good opening day occupancy. 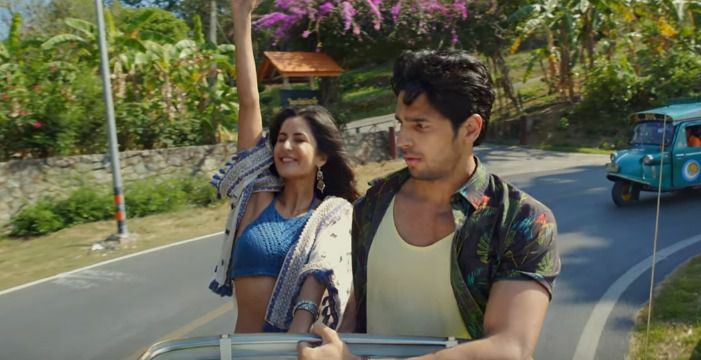 The majority of the Indians living in India and abroad likes Katrina while Sidharth has proved his ability although he has done only a few films so far. This pair is expected to drive some good business out of the movie in its opening week itself. It can lead to a whopping business at the worldwide BO. It just needs the positive word of mouth from the audience which will make it viral. Then, probably, it will have the edge over Freaky Ali and other releases. The morning started with 25% occupancy. Later on, it increased and for the whole day, the average was 40%. Let’s see how much it makes in the coming days. What do you predict? Don’t forget to share your prediction along with your views and thoughts with us via commenting below. Stay tuned to The Reporter Times for daily updates on Bollywood film industry and much more around the world. Feel free to share it on social media sites. Yeah hh the reports are awesome . BAAR BAAR DEKHO has opened so well . I suppose akshay Kumar’s Rustom opened at 15 cr and for BBD it’s a good number . It has emerged as the third highest opener till now . Saturday and Sunday would offcourse be awesome ….?? ?